The first time I came across this tidbit a few weeks ago, it was amusing. And with a little inquiry, it turned out to be nothing unusual about it. So if you are born in 1995 (you have to be that young! 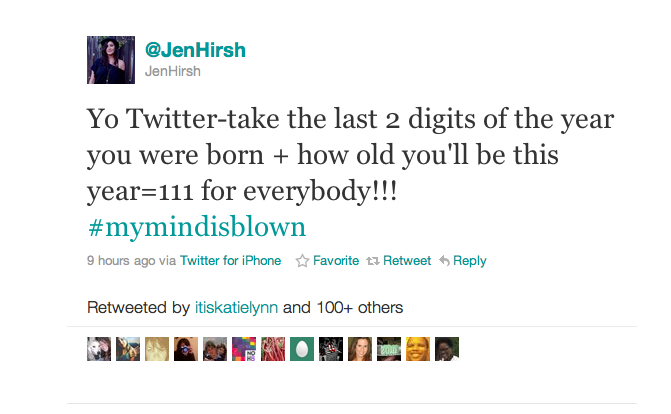 ), you will be 16 years old in 2011; adding 1995 to 16 gives 2011, and adding 95 to 16 gives 111. If you want to go gaga over it, you might as well start with 1+1 adding up to 2! And it is wrong! For kids born after 2000, it adds up to 11. 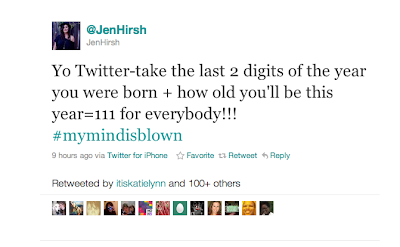 For people born before 1900, it adds up to 211! 2011 is itself a prime number, and is a sum of 11 consecutive primes!